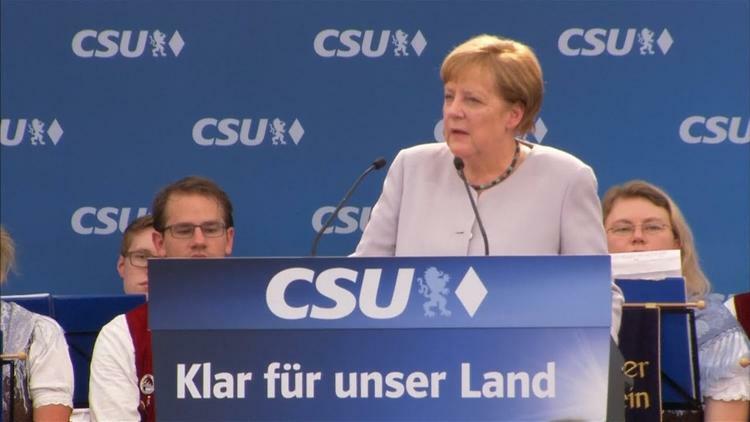 Angela Merkel, the Chancellor of Germany, certainly knew what she was doing when she made her otherwise cautious statement. The adverb is important here. “Entirely depend on” is not the same as “depend on.” She is signalling that Europe has in the past perhaps been completely dependent on the US in certain regards. Under Trump (the meaning of her “experience” in the the “last few days”), Europe can no longer afford to do so. Her annoyance is understandable. Europe faces dire challenges. One is climate change, which Trump refused to help with. Another is the refugee crisis. Since many refugees go north from the drought-stricken Sahel, which has been desertifying under the impact of human-caused climate change from toxic carbon dioxide emissions, these two crises are inter related. The European economy, and especially employment rates, still has not recovered from the 2008-2009 crisis. Instead of promoting trade, Trump is talking up protectionism. He called Germans “very wicked” for running a trade surplus with the US and selling cars to Americans. Having Trump plastered on front pages next to quotes about evil Germans while Merkel was meeting with him at the G7 must have been poisonous. Then Germany was convinced by Obama to slap sanctions on Russia because of its unilateral annexation of Crimea, something that had not happened in post-war Germany and which looked sinister to Western Europe. Trump seems to be in Russia’s back pocket, so that the whole sanctions policy is up in the air. (Frankly German interests were getting tired of it even last year.). Germany will have to make its own decisions about how to deal with Vladimir Putin, and can no longer simply follow America’s lead, given that America’s lead now has all the consistency of a terrified bumblebee. The good news is that you wouldn’t want European leaders blindly following Trump’s need. And at least there will be some adults acting independently on the world stage.